Want to stay in the know on what is new with Jackrabbit? The blue message icon, also known as Intercom, is your best friend! Most of the time, you will see the Intercom icon on your Executive Dashboard but sometimes it may appear on other pages within your database. What is the purpose of this little blue icon? Through Intercom, the Education Team has the ability to send messages to specific users based on location, User role, and or Jackrabbit edition, to name a few. We are able to focus the messages to the correct audience in effort to prevent inundating everyone with messages that aren’t important to them. You can click on the Intercom icon at any time to view new messages, past messages, webinars, and other information proactively and at your convenience. Click the X to close the messages when you are done! What types of messages are being sent through Intercom? 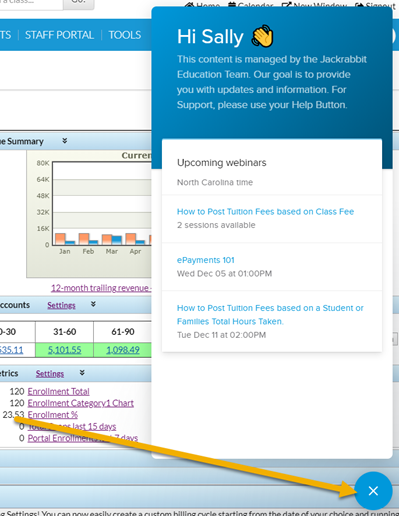 Intercom allows us to send emails or messages within Jackrabbit (blue icon) to notify users of new enhancements, nearby trainings, and upcoming webinars. We can add messages to specific pages within Jackrabbit to target Users who made find the information pertinent to their role and related tasks. Interested in a webinar? 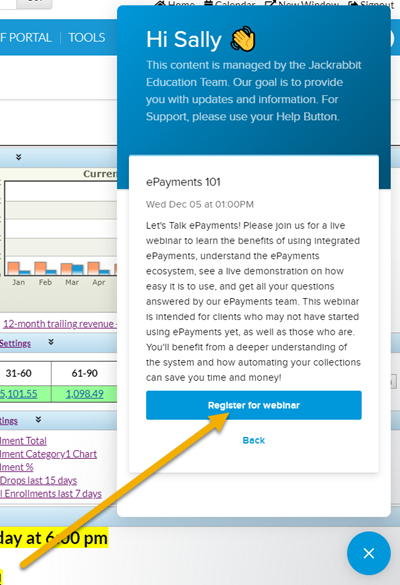 Once you click on the Intercom icon, you can find the list of upcoming webinars and select the one you want. 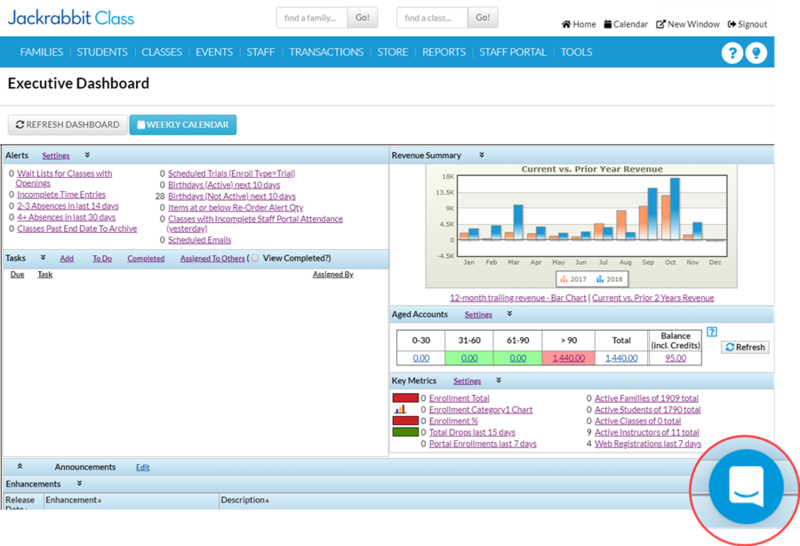 Register for the webinar without leaving your Dashboard.